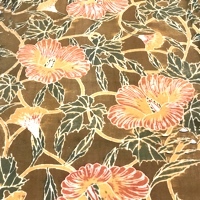 The Japanese term for calicos/chintz is "sarasa" which is a Portuguese loan word for calico or unglazed chintz. 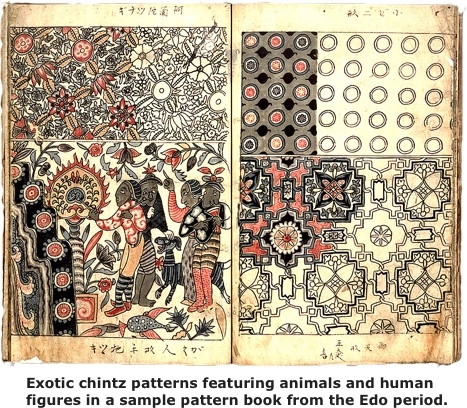 Sarasa has its origins in the early Edo Period (1603 to 1868) when Portuguese seafaring traders introduced cotton calicos or chintz they acquired in India into Japan. These beautiful, exotic chintz textiles quickly became enormously popular among wealthy samurai and merchant classes. Indian calicos presented themselves as unconventional designed cotton fabrics containing vivid colors with striking abstract geometric and animal designs. They stood out in stark contrast to common Japanese utilitarian blue indigo cotton fabrics, a textile the Japanese encountered every day. Imported Indian calicos were exceedingly expensive, too high-priced for making into affordable kimonos and the like. Instead, the Japanese cut down large lengths of sarasa into smaller sizes in order to create prized and relatively costly small items like tea-caddy bags, wrapping cloths, small money purses and pouches for tea utensils, replacing a previous preference for Chinese silk. 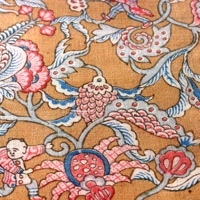 Production of domestic sarasa (calico) began in the late 1600s (Edo Period) when skillful Japanese dye workers found a method to replicate the designs of Indian calicos from their own style and production techniques. 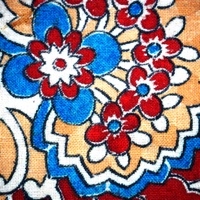 Master Japanese textile makers applied their indigenous katazome textile printing skills into making sarasa (rice paste resist dyeing with washi paper stencils "katagami"). In addition to katazome printing, a few dye works employed woodblock stamping to produce sarasa patterns on fabric. And, when necessary, the dye maker hand painted colors on the fabric. These indigenous textiles were characterized by distinctive floral and animal designs with geometric shapes favored by the Japanese. The Japanese possessed remarkable knowledgeable of sophisticated dye methods because of their long experience with dyeing beautifully handmade silks. Madder dye derived from the native akaso plant provided Japanese dye masters with the desired red and brown colors favored for producing sarasa prints. 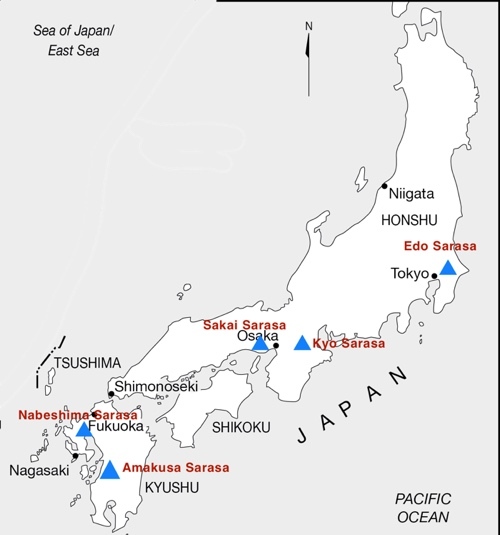 The hitherto dominate Japanese indigo blue played a minor role in sarasa colors. Hand produced sarasa fabrication ended by the turn of the century (after 1900) with introduction of high production European textile manufacturing machinery into Japan.